Join us for our classic Friday night party! 6-9pm February 8th: The Seth Warden Trio Sip your favorite wine, beer or cocktail. 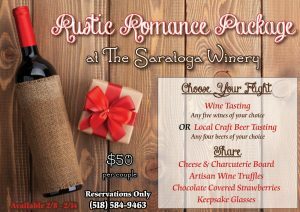 Wine Tastings, Local Craft Beer Tasting, Local Spirit Tastings and so much more. Kitchen Open for Wood Fired Pizza and more from 5-9pm.